When the man with the yellow hat tells George that he is planning a surprise, of course George is curious. Let’s just hope it’s not a faltering economy, an oil spill, and sinking poll numbers! Maybe it’s time to start planning for the big 50 now. Next up, Jonathan Alter presents What the Hell Was I Thinking When I Ran For This Job? : President Obama, Year Two. Awards! Awards! Awards! It sounds a bit like Monday night at the monster truck rally. Barbara Kingsolver won The Orange Prize for Fiction last week for her novel The Lacuna, an expansive story set primarily in Mexico that entwines the Mexican Revolution, McCarthyism, Freida Kahlo and Diego Rivera. The novel took Kingsolver a decade to write and for the honor, Kingsolver beat out perpetual award winner Wolf Hall by Hilary Mantel and Lorrie Moore’s Gate At the Stairs. According to The Independent, the decision over who should win the award agonized the judges. 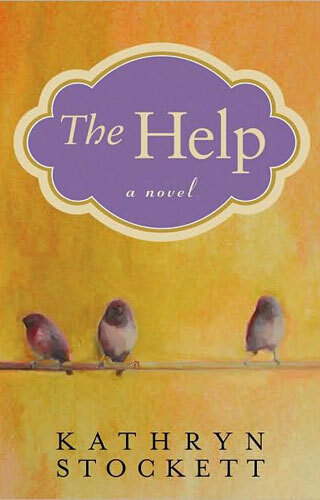 The Orange Prize is annually awarded to a woman of any nationality for a novel written in English. The Orange Award for New Writers went to Irene Sabatini, a Zimbabwean writer, for her novel The Boy Next Door, a novel about a relationship between a black woman and the son of her white neighbor, who is suspected of murder. Set during Zimbabwe’s break with British colonial rule, The Boy Next Door examines racial prejudice and post-colonial rule in the context of an interracial couple’s secrets. The award for new writers is given annually to the first published work of fiction by a woman of any nationality. The New Yorker released its list (which, coming from the pages of The New Yorker is basically an award) of the 20 best writers under the age of 40 to watch, a list that, when last compiled a decade ago, included then-unknown writers Junot Diaz, Jhumpa Lahiri, and Jonathan Franzen (whose novel Freedom is due in late August). While the list certainly sent many young, hopeful writers to extra therapy sessions, the UK’s The Guardian noted that the list was an “interesting and diverse line-up.” The New Yorker editor David Remnick said the list is “meant to shine a light on writers and get people to pay attention.” Presumably he means to great literature and not to his own publication. Chimamanda Ngozi Adichie, 32, is probably best known for her 2007 novel Half of a Yellow Sun. She has written other novels and, most recently, a short story collection. Chris Adrian, 39, author of three novels (a forth is due later this year), including the McSweeney’s published The Children’s Hospital. Daniel Alarcón, 33, a novelist, most recently edited The Secret Miracle: A Novelist’s Handbook. David Bezmozgis, 37, has published a collection of short stories called Natasha: and other stories. Sarah Shun-lien Bynum, 38, most recently published The Ms. Hempel Chronicles. Joshua Ferris, 35, has published And Then We Came To The End and, most recently The Unnamed. Jonathan Safran Foer, 33, is probably best known for Everything is Illuminated, a meta-novel whose American protagonist, Jonathan Safran Foer, travels to the Ukraine to uncover information about his Jewish grandfather. Nell Freudenberger, 35, has published a novel, The Dissidents, and a short story collection, Lucky Girls. Rivka Galchen, 34, published her first novel, Atmospheric Disturbances, in 2008. Nicole Krauss, 35, is most known for her novel The History of Love. She has a new novel, Great House due out this fall. Dinaw Mengestu, 31, is best known for The Beautiful Things That Heaven Bears and has a forthcoming novel How To Read the Air due in October. Philipp Meyer, 36, published his novel American Rust last year. C .E. 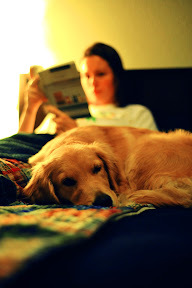 Morgan, 33, recently published her first novel, All the Living. Téa Obreht, 24, is the youngest writer on the list. Her stories have been published in The New Yorker and The Atlantic, among others. Her novel The Tiger’s Wife is currently scheduled for publication in 2011. Yiyun Li, 37, has published two collections of short stories and most recently the novel The Vagrants. ZZ Packer, 37, published a short story collection, Drinking Coffee Elsewhere in 2004. Karen Russell, 28, has published the collection St. Lucy’s Home for Girls Raised by Wolves and has a novel, Swamplandia!, due in 2011. Salvatore Scibona, 35, is the author of the novel The End. Gary Shteyngart, 37, has published two novels, most notably Absurdistan. His latest novel, Super Sad True Love Story, will be published in July. Wells Tower, 37, has published a collection of short stories, Everything Ravaged, Everything Burned. Read the editors’ note on how they selected their list and then enjoy a Q&A with each of the writers mentioned. I never knew until recently what a list fiend I am. I’ve always dismissed “top ten” lists (which is probably why I’ve never enjoyed David Letterman) and all those “What’s hot/What’s not” lists in various magazines. And yet here I am again writing up another list for this zine’s blog. I guess I love book lists (I keep an active Goodreads account, both for the blog and for myself). In the spirit of excellent lists (as opposed to mediocre lists), here’s NPR’s A Classic List of Children’s Must-Read Books (with comments). I loved The Boxcar Children series growing up and read all of the originals plus extras written by ghost writers after Warner had passed on. Mystery, thrills, orphans, boxcars (though it took me a while to learn what, exactly, a boxcar was) this series was my first of many obsessions. I’ve actually never read The Witches. (gasp!) In fact, I never read any Roald Dahl growing up, unless it was for school (James and Giant Peach). I did, however, see the movie Mathilda, based on a Dahl book, probably thousands of times as a babysitter of young children. I’ll have to add this to my list of books to read. Ditto to this. Never read it though I love the title. Ditto. Man, NPR is busting me up. Wasn’t there a Lindsey Lohan movie of the same title? I loved this book growing up, even if I didn’t quite get it. What’s not to love: he boy representing the .5 in the 2.5 kids for the average American family; the Promethean task the protagonist is given; the wonderful and curious illustrations. I need to go back and re-read this one. Okay, wow, another one I’ve never read. Did I just have an abnormal childhood? 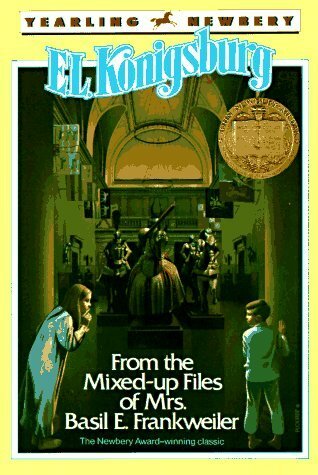 Konigsburg’s tale combined two of my favorite things growing up: learning and mysteries. While I can’t quite remember all the details of the mystery involved, I do remember my immense jealousy that the siblings in the story were able to stay the night in the Metropolitan Museum of Art in New York City, long before Ben Stiller hit the Smithsonian with a synergized pale comparison. I truly must be the only American youth who has not read Watership Down. I’ve heard lots about it though: talking rabbits, references in Donnie Darko, death, destruction. One of those classics I suppose I should pick up someday and enjoy with the pessimism of an adult. I’ve never even heard of this but I love Edward Gorey’s dark drawings and twisted humor. This is definitely on my to-read list. RULES: Don’t take too long to think about it. List 15 books you’ve read that will always stick with you. They should be the first 15 you can recall in no more than 15 minutes. Next, share your list with 15 friends. I took seven minutes to come up with my list. I don’t unilaterally love all of these books. Some are on the list as books that “will always stick with [me]” for better or worse. There are three short stories on the list because I love short stories and as I was thinking of my fifteen books, they came into my head. Also included are a play and a children’s book. The list is in the order the books came to me. The Man Booker Prize announced its longlist for the 2009 prize. Below is the complete longlist. We’d love to hear your comments and opinions on the books below! Twain’s novel meanders carelessly through the various characters in a “plot” that some critics have compared to the winding Mississippi River down which Huck and Jim travel. I find this a pretty sorry excuse for a novel that wanders aimlessly and inconclusively and, ultimately, asks far too much of the reader. Huck’s shenanigans aren’t amazing to grown-ups and are presented in a way more appropriate to a young adult novel. Twain’s novel is often sited for bringing awareness to the plight and troubles of African-Americans. If that’s so, then he does it in a narrow and Huck-obsessed way. I’m not a huge fan of most sports, baseball included. I find little stimulation in watching a slow moving, non-intellectual game played by overgrown schoolboys pumped up on steroids. (My home state team growing up were the Detroit Tigers, which might have had something to do with my baseball lethargy as well.) Going into The Natural, I was determined to remain open-minded and enjoy the novel, despite the baseball premise. Wrong. Malamud’s story is sentimental and overly-romantic, both about baseball and love. There’s little for the reader to sink her teeth into unless she’s David Halberstrom and, even then, I found this book about as thrilling as watching my cats sleep, which is to say, skip it. Skip the movie Robert Redford/Glenn Close movie too. 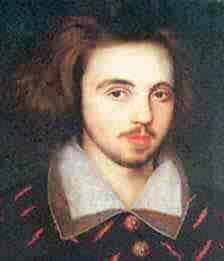 Oh Christopher Marlowe, where to begin? A contemporary of Shakespeare’s, Marlowe is half as a talented and four times as grating as watching even Shakespeare’s dullest plays (in my opinion, the histories). To both read and watch a Marlowe play is to feel oneself trapped inside a horribly repetitive fun house mirror where everything is terribly distorted. Characters who shouldn’t matter do. Characters we want to learn more about are never brought to light. The narrative starts at the beginning and loops back again and again and again without adding anything each successive pass except the increasingly annoyance of the reader/audience. The only play I’ve ever walked out of was Marlowe’s Edward II and the ticket was free. Walking out of a play I’ve paid nothing to see? Yes, it was that bad. Philip Roth has written a lot of good books. The Plot Against America is not one of them. 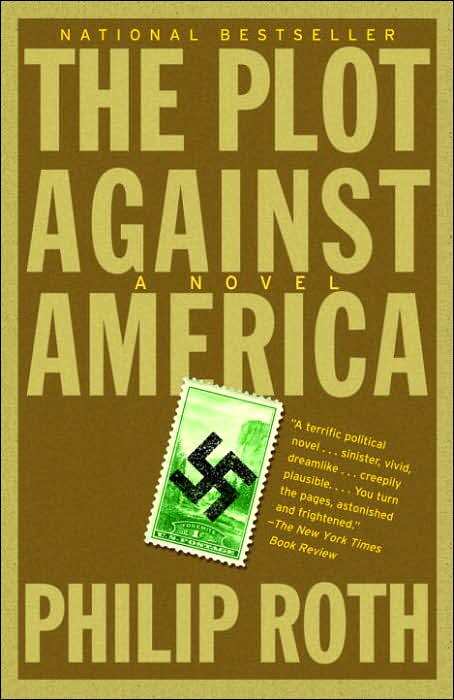 The book is written from a historical imagining that the anti-Semite and isolationist Charles Lindbergh won the 1940 presidential election (instead of FDR) and, as a result, 1940s America starts to look increasingly like 1940s Germany. The premise is wonderful and Roth an expert novelist. The problem with The Plot Against America is that in the political and coming-of-age confusion felt by the characters in the novel is transferred too well to the reader. The wonderful premise disintegrates and the novel suddenly feels like a propaganda piece of a very different kind. I enjoy novels with unusual, even despicable protagonists so long as one redeeming quality exists to hang my sympathies on. In A Confederacy of Dunces, that’s exactly what I’m missing: Ignatius J. Reilly gives me so little to sympathize with that I can’t enjoy the novel. He’s rude and abusive to his mother, he’s lazy and self-indulgent, and his egotistical whimperings when he’s forced to find a job are beyond pitiful. Reilly is such an obnoxious and grating character that I couldn’t see past his bloated figure to the humor the novel is generally much beloved for. Speaking of self-indulgent and egotistical masturbatory tales, Eggers’ A Heartbreaking Work of Staggering Genius beats them all. Widely considered “postmodern” (because he draws a stapler in the intro? because he’s meta? because he settles in San Francisco and uses sarcasm? 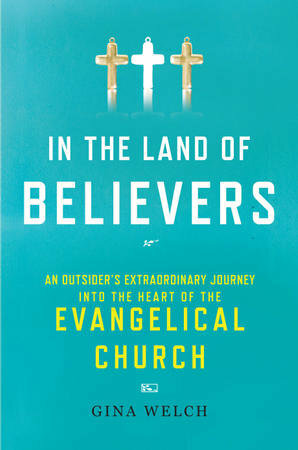 ), Eggers’ memoir is self-congratulatory while also being precious and self-deprecating. I don’t know if Eggers founded the whole hipster movement in fashion and movies but he’s certainly one of its leading spokespersons. 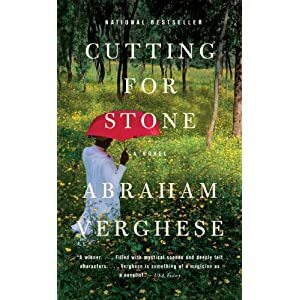 An acquaintance once told me the reason she loved this book so much is because he acknowledges in the intro that certain sections are boring and should be skipped and, when reading the sections, she found she agreed with him. Does this acknowledgement make him a genius? Or just a verbose and self-involved wanker whose editor was paid-off to leave in things better left out? Unfortunately, I believe I’m in the minority with my conclusions. Tender is the Night was Fitzgerald’s last novel and was written while his wife, Zelda, was committed to a psychiatric hospital for schizophrenia and he was continually in need of money. As a result, the novel is darker and more brooding than his earlier works which, although critical of the characters’ upper-class snobbery, still manage to let a bit of sunshine through the commentary. I think it shows that Tender is the Night was Fitzgerald’s last; it lacks the clear prose and moving story of The Great Gatsby and This Side of Paradise. Fitzgerald’s distress over his wife’s physic state as well as his own dwindling literary reputation is too evident. Reading Tender is the Night is like watching Britney Spears fall fast and hard until, in a final act of desperation, she reaches her breaking point. I’ll probably get tons of hate mail from the various Objectivists (aka followers of Ayn Rand) for this one, but it’s true: Rand novels are unbearable propaganda pieces that are all propaganda and no style. (Yes, I’ve actually read all of Rand’s novels after my dentist recommended them to me. Never, ever trust your dentist’s book recommendations.) Objectivism is a sort of Reagan-style economics mashed together with a Horatio Alger “pull yourself up by your bootstraps” mythology blended with a Bush/Cheney doublespeak that, on its face might sound good but upon deeper reflection turns out to be more horrifying than the Golem. Rand used her novels, chiefly Atlas Shurgged and The Fountainhead, as a platform to disseminate her philosophy and recruit others. Both novels lack style and content. Think of that guy in the park espousing his ill-founded beliefs. And then picture him writing a 1200 page novel. And publishing this novel. Yeah, that’s pretty much Ayn Rand. Now that you’ve heard our picks for what has to go, we want to hear yours. Submit a comment with your own list – and don’t forget to include one or two reasons why! this zine’s 8 Books to Drop-kick from the Canon? Later: Books we’d like to see included in the canon…. Earlier this month, Second Pass published a list of 10 books they want fired from the canon. Yikes! This list is no joke! While I haven’t read all of the books included, I have read a book by almost all of the authors on it and strongly disagree with at least two of the selections. Below is the list. To find detailed (though occasionally maddening) reasons behind why these particular books should be “fired” you’ll have to read the article. First, I’m going to defend two of the books on this list. Second, I’m going to create my own. Finally, I invite you to create your own list of books you think should be drop-kicked from the canon… and maybe a reason or two why. While White Noise may not be DeLillo’s best work (that honor, in my opinion, goes to either The Names or Underworld), it is a post-modern warning bell about the path our suburbanized, commodified culture is headed down, at least in the world of white, educated affluence. White Noise is a fast-paced indoctrination of our culture but it is not a “protest piece” the way one might consider an August Wilson play. It’s also a moving story about a family’s decline in a world of faceless technology and minimal interactions. There are very few novelists whose work I read in near entirety and DeLillo is one of them. It’s been at least seven years since I first read White Noise and I’m thinking now might be a good time to return to it. William Faulkner can be a challenge to read, yes, and Absalom, Absalom especially so, but this prequel to The Sound and the Fury was hot long before the idea of prequels was conceived by Lucasfilms as a lucrative money making venture. In Absalom, Absalom the reader is granted knowledge of the basic premise of the story from the very beginning. The joy of continuing to read is both to discover how the story unravels and how it is told and re-told by various characters. For close readers of Faulkner’s work, the familiarity with many of the lives adds the tension of dramatic irony to a story about family, birthright, heritage, and blood lines. 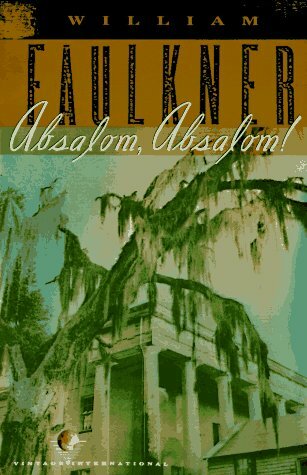 Faulkner himself thought Absalom, Absalom was his masterpiece.